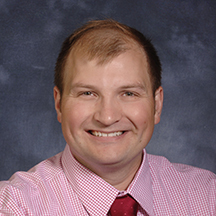 Dr. Borst joined the College of Veterinary Medicine at NC State in July of 2009 as an Assistant Professor of Anatomic Pathology and was promoted in 2016, to Associate Professor. Dr. Borst is the residency coordinator for the combined Poultry Pathology program through which students can gain eligibility for board certification by both American College of Veterinary Pathologists (ACVP) and American College of Poultry Veterinarians (ACPV). He also developed and is a faculty mentor for the CVM House System, a popular initiative that aims to improve the resilience of the CVM community. Dr. Borst earned a doctorate in Veterinary Medicine and a PhD through a combined DVM/PhD program at University of Illinois Urbana, Champaign (UIUC). His PhD focused on developing a zebrafish model to determine pathogenesis of Streptococcus equi ssp equi. While at UIUC, he also completed a residency training program with board certification in Anatomic Pathology in 2008. Before joining the faculty at NC State in 2009, he briefly held a Visiting Clinical Assistant Professor position at UIUC where he designed and delivered a curriculum to train veterinarians in Azerbaijan and Armenia in the recognition and diagnosis of especially dangerous pathogens for the Department of Defense. As a veterinary pathologist and microbiologist, I have a specific interest in the dynamics of infection at the host pathogen interface. Since coming to North Carolina State University, my laboratory has been tracking the global emergence of pathogenic strains of Enterococcus cecorum in broiler chickens. The broiler industry is a very important segment of US and NC agriculture, and I was fascinated by repeated outbreaks of a new disease caused by a pathogenic Enterococcus spp. The enterococci as a genus were historically considered second rate pathogens, contributing to disease only when individuals were immune compromised or were exposed to invasive medical devices in the hospital environment. With the emergence of pathogenic strains of E. cecorum, the idea of an enterococcus that is pathogenic when given orally to an immune competent host, was very interesting. We began studying this organism in 2012 and our studies have been highly rewarding, producing several definitive works on pathogenic E. cecorum. For example, we have shown that pathogenic strains recovered from outbreaks in poultry around the world are genetically clonal, multidrug resistant, and are readily isolated from retail whole chicken. We also observed that the emergence of these resistant E. cecorum from retail meat was overlooked as the National Antimicrobial Resistance Monitoring System culture methods select against this species of Enterococcus. We were the first to successfully recreate this disease and have developed an embryo lethality assay to detect virulence in E. cecorum. This work has led us to other discoveries related to musculoskeletal health of chickens which predispose individuals to infection with pathogenic E. cecorum. We were the first to sequence the genomes of pathogenic E. cecorum and identify novel virulence mechanisms conserved in pathogenic strains. Through study of the natural host-pathogen relationship between broiler chickens and pathogenic EC we hope to better understand and disrupt the molecular mechanisms of enterococcal infection with dual benefit to human and animal health. In addition to the contributions described above I have worked with collaborators to study oncogenesis and treatment of important cancers of people using the dog as an animal model. These studies have contributed widely to the understanding of the molecular mechanisms of tumorigenesis and treatment of lymphoma, histiocytic sarcoma, hemangiosarcoma, melanoma, meningioma and osteosarcoma of dogs and people.